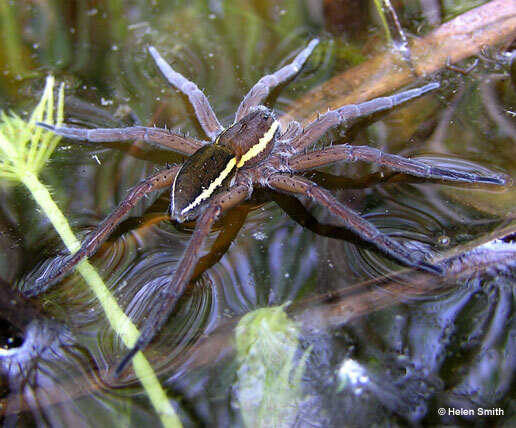 In explanation: The fen raft spiders in the photographs are well known for the striking white or cream bands along their sides. However, they also occur (less frequently) in an unbanded form. I am trying to find out whether visual predators (such as birds�.. or in this case people) find the banded or the unbanded morph easier to spot.